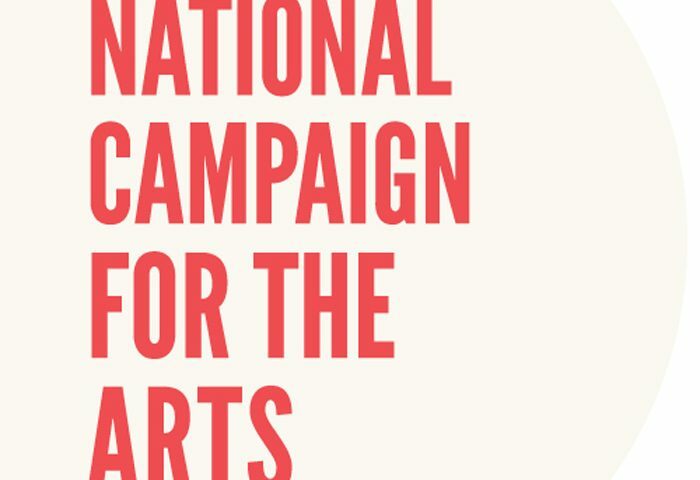 The National Campaign for the Arts needs to hear from you. As part of our ongoing policy advocacy and activity planning, it’s vital for us to hear your thoughts, and we need your help to gather ideas from as many people as possible. So, if you work in the arts, care about the arts or have an interest in supporting the arts – please take a few moments to complete this short survey. Please help us reach as many people as possible by using the forward button at the top right of this email to send it to fellow artists, arts workers and allies, and please share a link to the survey – https://www.surveymonkey.com/r/NCFA2018 – on your social media. The survey is open still open and we really appreciate your help and support.